I just created a new store called storenvy. I really love it. Please come check it out! 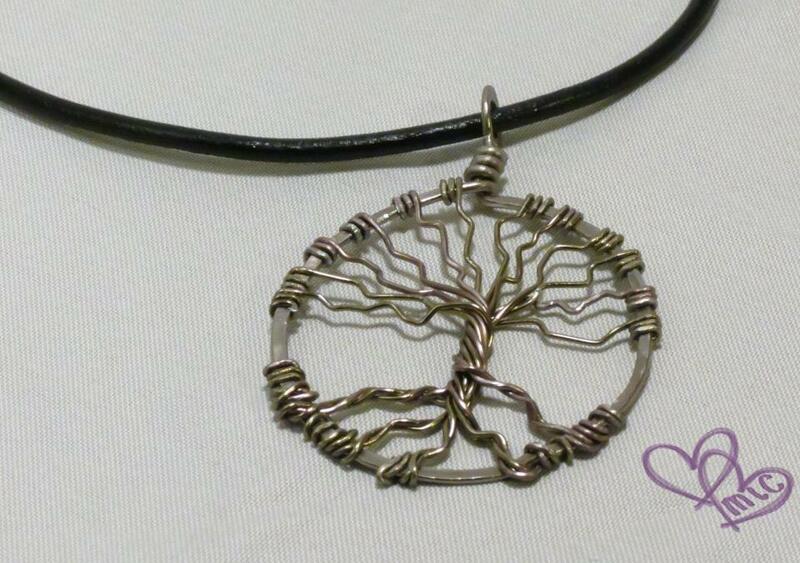 I just listed this beautiful one of a kind tree of life necklace. This is the most fun part of my job is when someone comes to me with a special custom order. This custom order actually was a duplicate of a custom order that I created for a web tv show, called The Strangers. If you haven’t seen this show yet, you really should, its amazing! I love this design so much. I think out of all of the trees I’ve made, theses are my favorite. I hope to get a few more of theses made up and get them on my facebook page soon! Sadly I don’t have any new items to post for you guys this week. I really need to get some projects finished, and get some pictures taken, but in the time being here is a posts dedicated to necklaces! Enjoy! 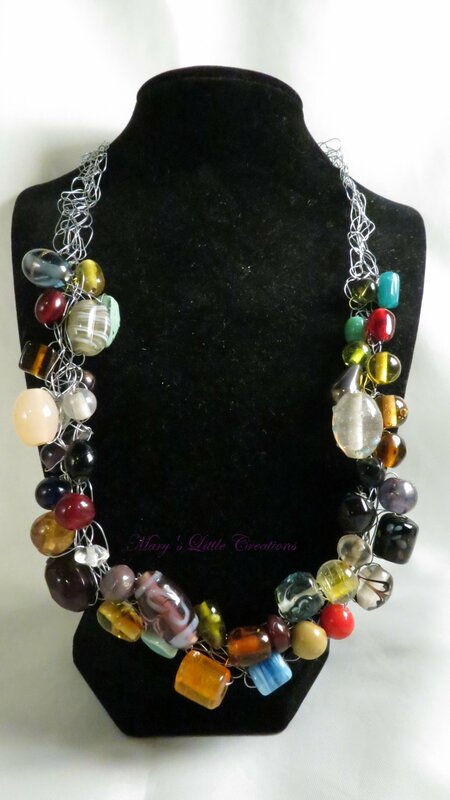 Have you ever seen a beautiful necklace online, but wasn’t sure where it would lay? Here is a handy guide to help out! I love necklaces, I usually always have a necklace on. 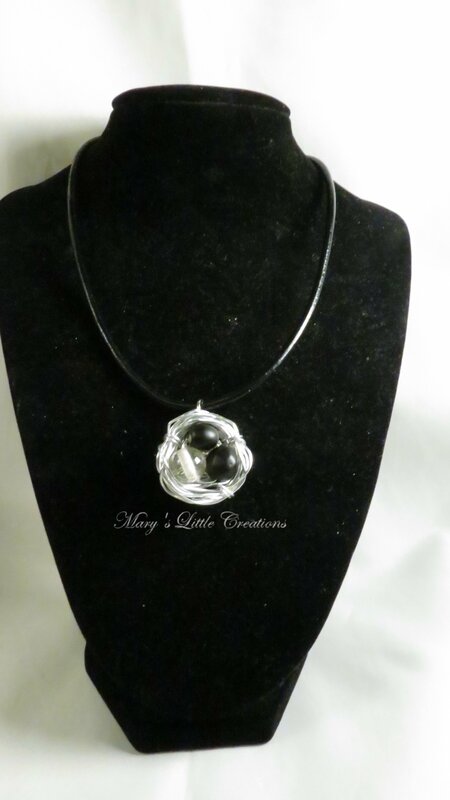 For some reason even though I love necklaces, I have hard time coming up with ideas for them. But one of my goals this year is to come up with some new ideas. 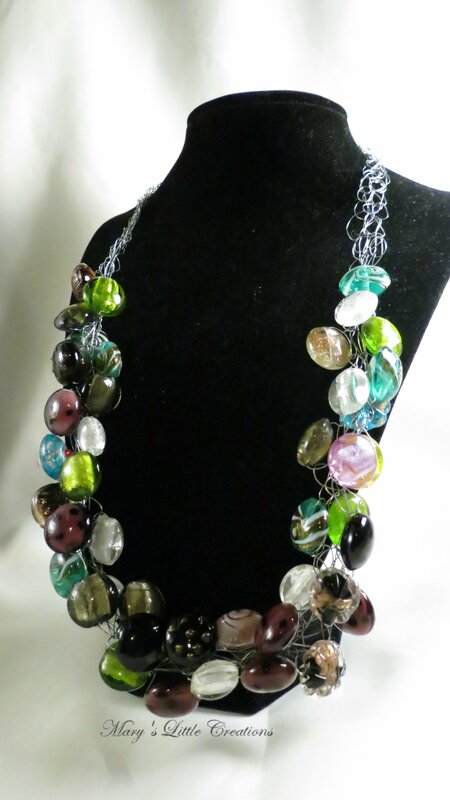 While I think up some new ideas, here is a look at some of the necklaces I’ve made in the past. Enjoy! 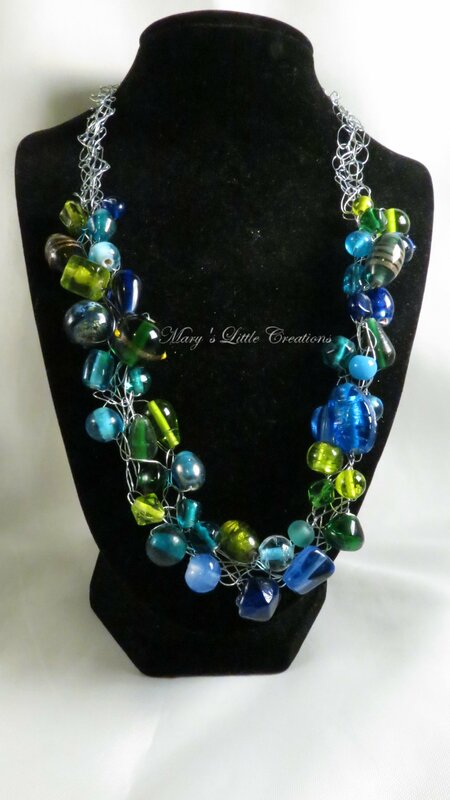 I love this necklace, it was made with beautiful glass beads that were crochet with wire. This picture really doesn’t show how beautiful the colors really were. This was another of my favorites. 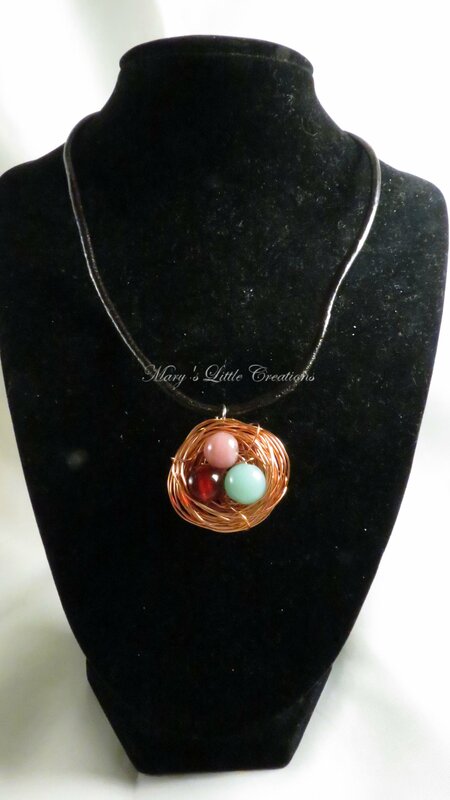 This necklace is a one of a kind piece, I came up with the idea and wrapped the wire myself. It was surprisingly lightweight and very comfortable when worn. 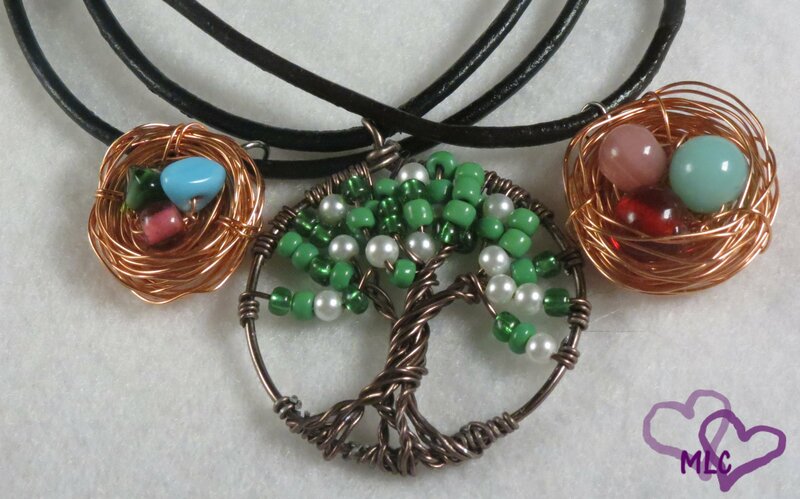 These nest pendant necklaces turned out very cute. And are also surprisingly light weight. 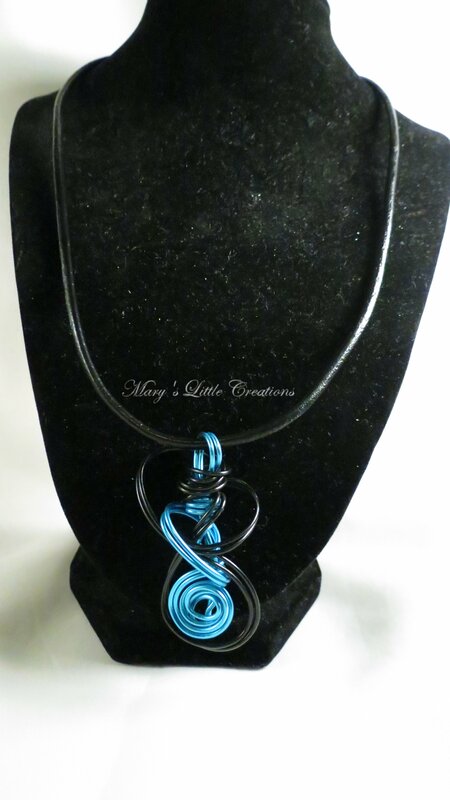 I got addicted for a while to making these crochet wire necklaces. I loved how unique they look, even using the same beads no two every looked the same. 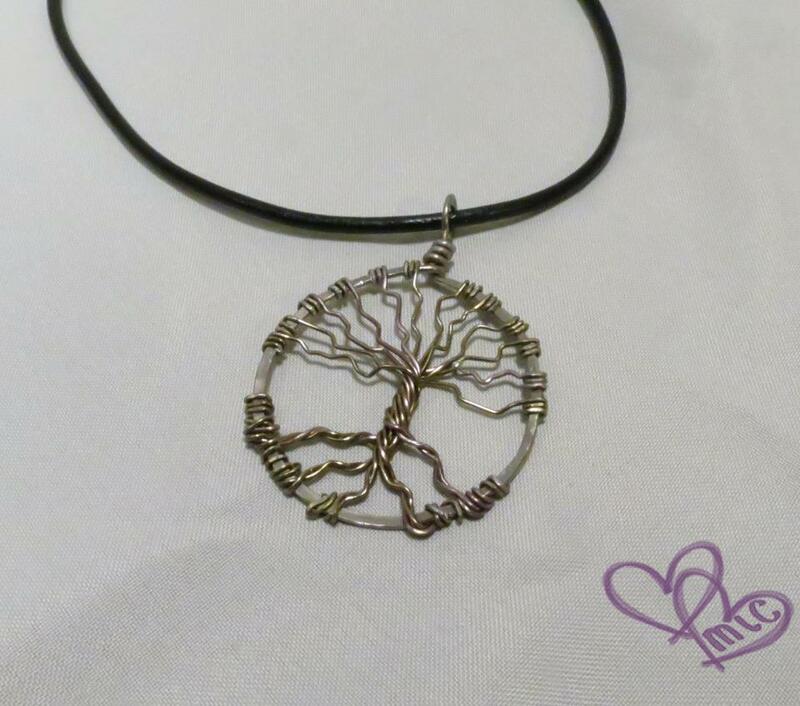 The best part about these necklaces are that due to the fact that they are made with wire you are able to move the piece around and get it to a point were it feels like it was made for you. 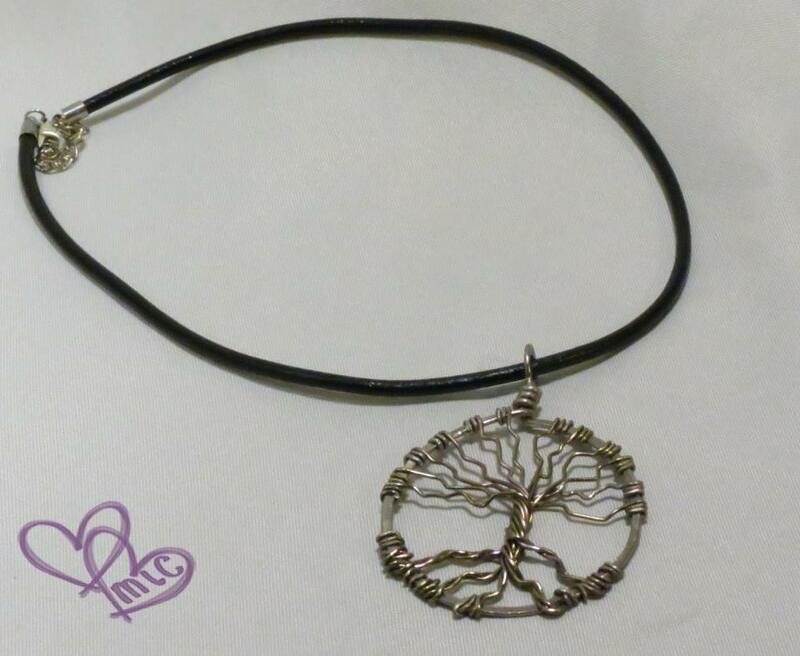 The tree pendant on the left was the first one I made. I instantly fell in love with it. The two on the right were custom orders that I love. I think the matching colored ribbon is really want makes them pop. Next week I hope to share with where the creating happens. That is if it doesn’t look like a bomb went off! Check back next Wednesday to see! For as long as I can remember I have always loved doing crafts. I’ve tried just about everything over the years Crocheting, Knitting, Sewing (Which I am HORRIBLE at), painting (no good there either) but finally one day I was wandering around a store and found their bead section and thought eh, why not lets see what happens… It’s been almost two years now, and I am addicted! 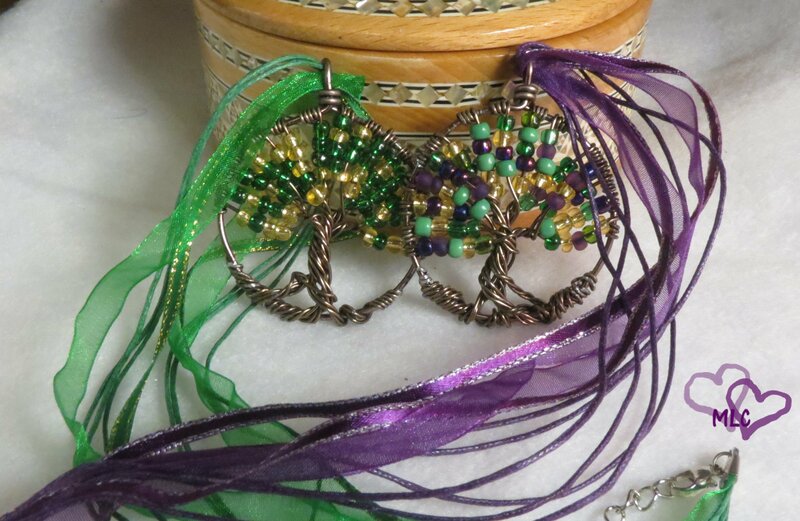 I love everything about making jewelry, I love working with wire, bead stitching, bead weaving, stringing… Everything. There is truly no limit on what you can make. Everyday I find something new that I want to learn how to make. It’s amazing! And I am so thankful for all the people that I’ve met during the short time I’ve been doing this. I’ve met some amazing people who also make jewelry and I am blessed that they have been willing to help me out so much. Here are some examples of my work. Some of these items have already sold, but please check out my facebook to see what I currently have for sale. Which do you prefer to wear? Earrings, necklace, bracelets or rings?